I took this just last night, but this morning he woke up and it was gone! 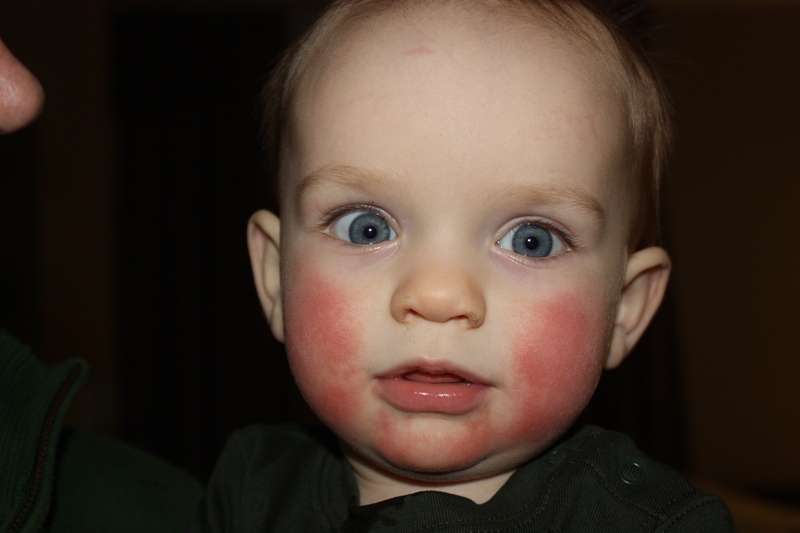 You can learn more about Fifth Disease here. the same thing happened to my goddaughter! she had a fever for a week then it broke then the next day she had a rash all over her body. it looked like chicken pox but it wasn't pronounced, it was more light pink dots than anything. we took her to the emergency where they poked and prodded; the doctors gave us inconclusive diagnosis, just some sort of virus. the next day the spots were already fading. the day after that she was fine! she has really sensitive skin so we thought that might be it. Oh poor boy! I hope he's better by now!